When professional photographers shoot a wedding or other events or projects, one of the products they offer their clients is a top quality photo book. And one of tools that some pros like to use for creating these coffee table-type books is AsukaBook Maker. AsukaBook Maker is a free layout program that generates an Acrobat PDF file. Its primary purpose is to help Asuka clients prepare the files needed to order books from Asuka, but you can also output the generated PDF to your desktop printer. Though the software is free, you must register with Asuka to obtain the activation code, which can take up to two days to arrive via email. If you want to just check out the software, you don't need to register. But if you want to generate a PDF or order a book, you'll need the activation code. On startup, you have the option of creating a book using Auto Layout or Custom Design, working on a book you've already created, or using the Organizer. Since AsukaBook provides the software for professional photographers who order books from the company, the first step is to define the type of book in terms of what AsukaBook offers for sale - the type of cover, style, page finish, size and so forth. Laying out the actual book is mostly a drag and drop affair: select your page templates, photos, photo edges and masks, and place them on the page. You can add a handful of special effects (such as drop shadow, fade or monochrome styles), move and resize photos, add text and so forth. Once you develop styles that you like, you can save your own custom design templates. AsukaBook Maker is integrated with Photoshop CS2 and CS3 (but not CS4) for editing and fine-tuning placed photos. The entire program is focused on the business and creative needs of pros. 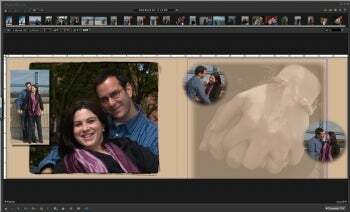 So, in addition to generating the high resolution PDF and an order form for the book, it can save a low resolution file of the book layout, so clients can see exactly what the book will look like and give their approval or feedback. .
Once you understand the program, it is generally easy to use, while still providing a good amount of creative flexibility. But it does not follow some common interface conventions, such as drop-down menus, and it isn't entirely intuitive. What's more, the online manual is well-organized but shallow, offering little help for the user in choosing among various options. Nor does it have a search option. So, there is a learning curve involved. But the result can be a beautiful photo book of the type you'd expect from a professional photographer--especially if you decide to pay to order your book from Asuka rather than print it out yourself. However, Asuka says that they will accept book orders only from registered professionals, and prices vary.